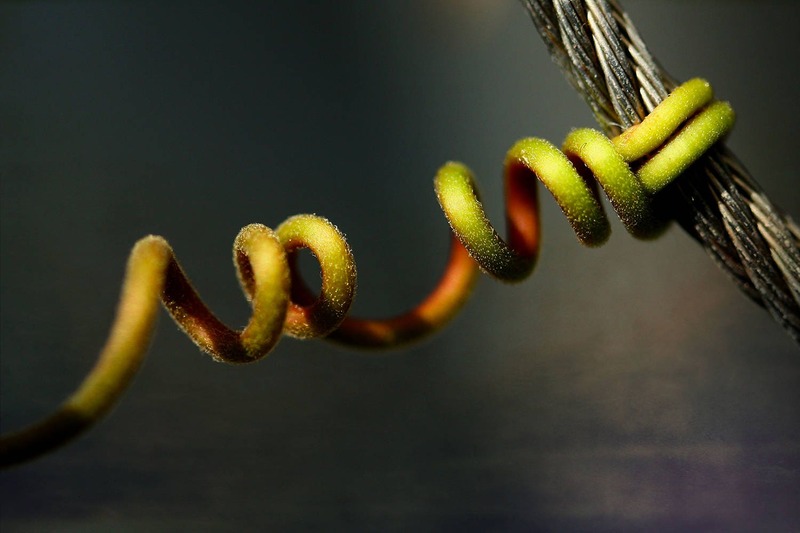 Limited Edition botanical photography metal art print "Connection" is an image of an interesting coiled vine tendril with a great grip on a steel cable! This botanical photography image will be professionally printed on a brushed aluminum box in 24x16x1 size. This metal photo art print is SPECIAL ORDER ONLY. It will be drop-shipped by my professional photo lab, ready to hang with either saw-tooth or keyhole openings both located on the back of the print. A signed certificate of authenticity including the edition number (4 of 26) for this metal art print will be mailed separately to purchaser. The image will be digitally signed by the artist.